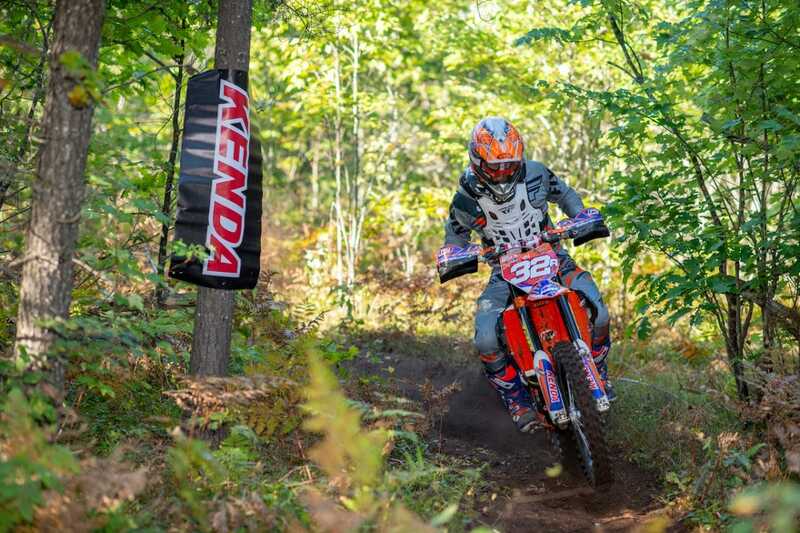 Marquette, MI (September 9, 2018) – Steward Baylor used a strong push in the final test (and took advantage of a couple of mishaps by his brother Grant in the same test) to claim the overall win at the Loose Moose National Enduro, round eight of the Kenda AMA National Enduro Series in Marquette, Michigan. The Loose Moose Enduro is one reason the National Enduro Series is so great. Held in the Upper Peninsula of Michigan near Marquette, the race utilizes terrain that is quite diverse and a bit different from a lot of the other rounds, ranging from sandy single track, to giant moss-covered rocks, to deep mud holes. The race is as varied as the series, and it takes an all-around rider to win in the “U.P.”. To say the Baylor brothers dominated the Loose Moose Enduro would be an understatement. 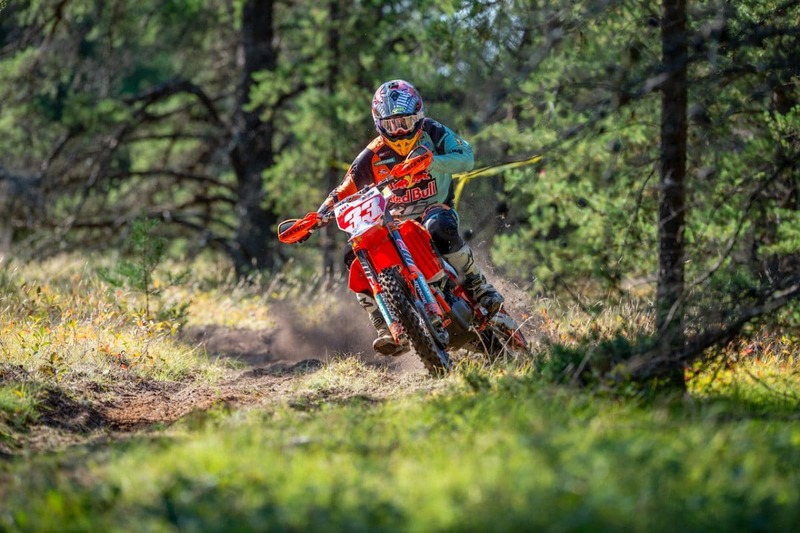 Combined, the Tely Energy KTM-backed siblings accounted for all six test wins. Steward won tests 1, 5 and 6, while Grant won 2,3 and 4.Grant took the lead from Steward after the third test and the South Carolina rider held an 18-second lead going into the final test. But after having to dig his way out of a couple of mud holes, Grant lost ground to Steward and handed back the lead for good. In the end, Steward took advantage of a rare first-test win to claim the overall victory by 27 seconds ahead of Grant. Meanwhile, the brothers finished over a minute-and-a-half clear of third place. Grant was not happy about losing the race in the final test, but glad that the race was won by his brother. Third went to Josh Toth. The FMF/KTM Factory rider was admittedly off the pace, especially in the second test where he posted the seventh-fastest time. 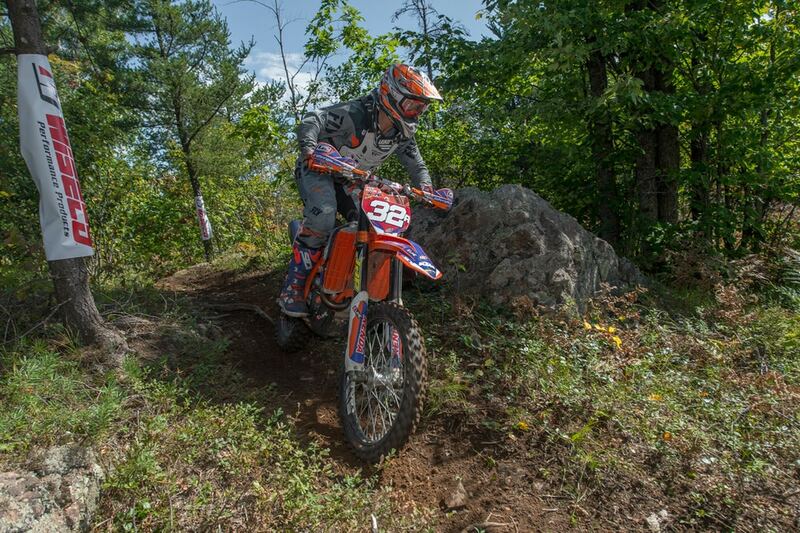 Trail Jesters Racing KTM’s Ben Kelley finished 38 seconds behind Toth for fourth. SRT Racing’s Evan Smith continues to hover around the top five and finished a solid fifth in Michigan after turning in a relatively clean ride with just a couple of small mistakes. Meanwhile, KR4 Husqvarna’s Cory Buttrick was just behind in sixth. 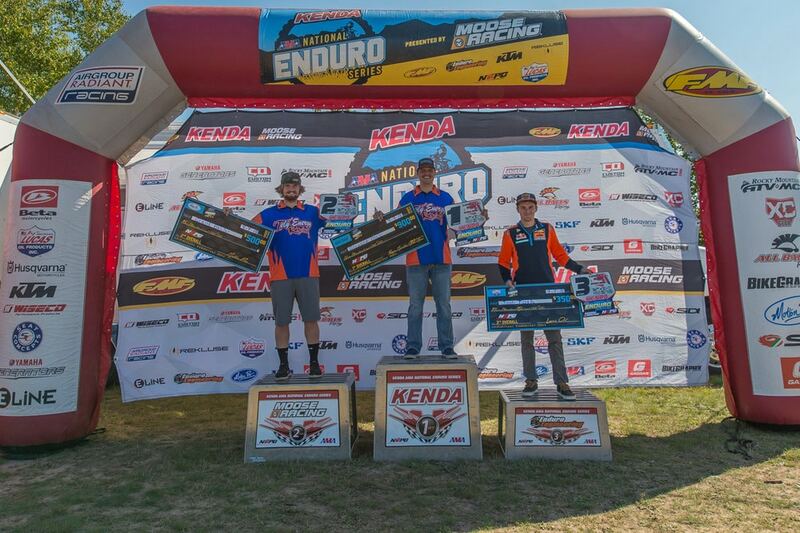 Seventh went to Solid Performance KTM ace Ryder Lafferty, who also won the NE Pro2 class with his finish. Gnarly Routes KTM rider Russell Bobbitt had a fairly uneventful day en route to eighth, while Nathan Federer brought his KTM home for ninth and second in the NE Pro 2 class. Nick Fahringer rounded out the top 10 in his Sherco, with Gas Gas North America’s Andrew DeLong finishing in 11th overall. 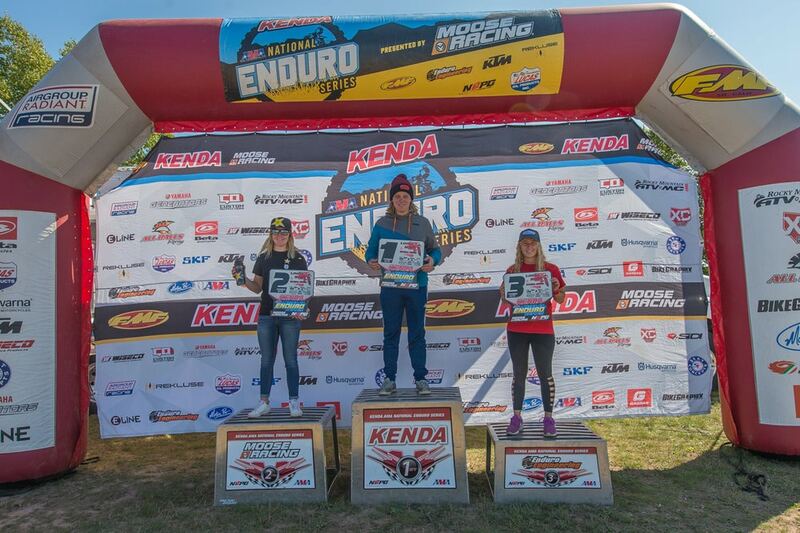 AirGroup/Enduro Engineering Husqvarna’s Logan Lowrey rounded out the NE Pro2 podium with third in the class and 12th overall. Thad DuVall had a disappointing day. The Rockstar Energy Husqvarna rider knocked a hole in his side case when he struck a rock and was forced to drop out near the start of the sixth test. Trail Jesters KTM Racing’s Mackenzie Tricker was victorious in the Women’s Elite class, beating out KR4 Husqvarna’s Tayla Jones by 35 seconds. Tricker won three of the five tests en route to the win. Jesse Ansley (KTM) took the win in the AA class over Ben Parsons (Hsq) by two-and-a-half minutes. JD Friebel was third in the AA class on a Husqvarna. 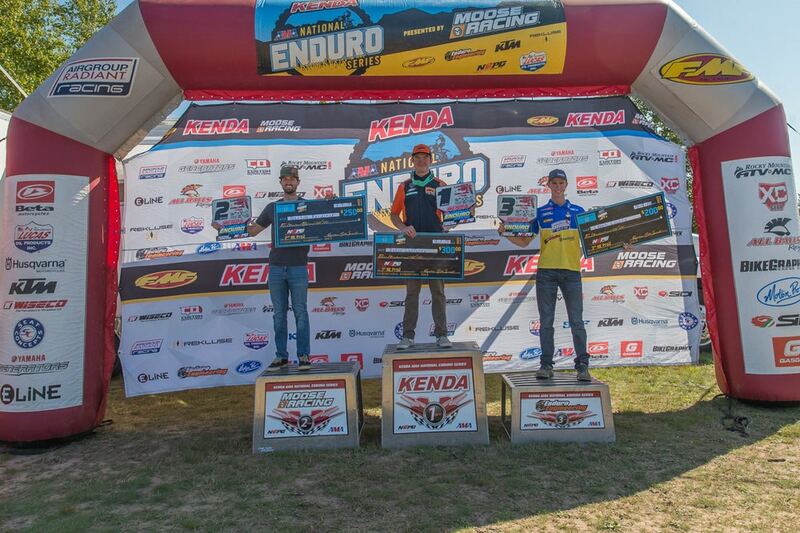 The Kenda AMA National Enduro Series returns to action on September 23rd for the Muddobbers National Enduro in Matthews, Indiana, round nine of the Kenda AMA National Enduro Series. For more information go to www.nationalenduro.com.